Discover the fascinating yet grey world of prostitution and the women who participated in the world’s oldest profession. Illustrated throughout with rare historical photographs of women like Molly b’Dam, Lil’ Lovell, and Mattie Silks. This strong book provides touching insight into the lives of the ladies of the night, from pampered courtesans of the wealthy to enslaved Chinese girls. Soiled Doves was one of my souvenirs from Death Valley. The moment that I discovered that this book existed, I knew that I had to have it. Still, it took me a day or two to really get myself to the point where I paid the $13 for it. After completing the book, however, I am very glad that I did! Prostitution is a part of our history. It’s not called “the world’s oldest profession” for kicks and giggles. Regardless, prostitution is something that we, as a society, shun and look down upon. For the most part, it’s easier to pass judgment upon the occupation and not pause to give thought to the women who have lived it. Seagraves ventures to shed some light on the history and experiences of these women, specifically in the Western United States, during the westward expansion. This book is fascinating in that Seagraves provides general historical information about the red light districts, the varying levels of brothels, as well as more in-depth portraits about individual women – some of which are backed up with newspaper article excerpts and photographs. Seagraves is obviously dedicated to the history of women (specifically in the West) and has written numerous books on the topic. I know that I will most definitely be checking those titles out – though, I don’t know if I can wait until our next vacation out west! View her titles on Amazon. As you may or may not know/remember, I recently went on vacation. One of the many exciting things to do on vacation is acquire some stuff that you probably don’t need, but that you swear will always remind you of your trip. Well, I would like to say, that people ALWAYS need books and what better way to remember and commemorate your time somewhere than with a geographically appropriate book? 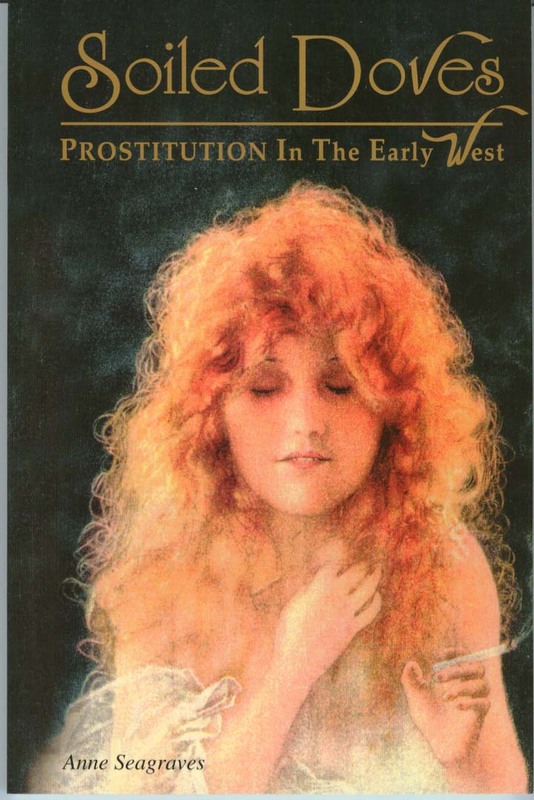 Soiled Doves – Prostitution in the Early West is about… well… prostitution and the women who were prostitutes in the early West. I haven’t read anything past the introduction yet, but the first page sucked me in with its very brief, very surface-only glimpse at the history of prostitution. The first time that I saw this book, we were in a very family oriented gift shop and I was just kind of shocked, amazed, and delighted by its existence. I didn’t jump the gun and fork over the $12.95 that night, however. No, no… I had to let the idea of it stew. For days. In the desert heat. On our final day there, however, I knew that I had to have it. En route to Las Vegas, we stopped back into the gift shop and I picked it up. Fortunately for me, they hadn’t sold out of it yet. With that said, this will probably be one of my next reads, so keep a lookout for my review and thoughts on here in the next few weeks. SOILED DOVES tells of the grey world of prostitution and the women who participated in the oldest profession. Colorful, if not socially acceptable, these ladies of easy virtue were a definite part of the early West – wearing ruffled petticoats with fancy bows, they were glamorous and plain, good and bad and many were as wild as the land they came to tame. Women like “Molly b’Dam,” Mattie Silks, and “Chicago Joe” blended into the fabric of the American Frontier with an easy familiarity. Others, such as “Sorrel Mike,” escaped through suicide, Lottie Johl chose marriage and the Chinese slave girls lived a life without hope. Published by Soho Press, Inc. The other book that I picked up was purchased at the gift shop located in the Manzanar National Historic Site, which is a historic site of a Japanese Interment Camp from the WWII era. We found out towards the end of our trip that this Site was nearby (about an hour drive from where we were staying) and I knew, immediately, that I had to get there. Over the past year, I’ve read a few titles about the Japanese Internment Camps (something that I wasn’t 100% aware of previously) and it was incredibly important for me to get there. The stories and information available at Manzanar is moving, maddening, inspiring, and eye-opening. Their gift shop contains many titles for further reading (including plenty for children and teenagers), but I really wanted a memoir. Kiyo’s Story popped out of me, first and foremost, because I liked the design of the book. Upon closer inspection, I realized that this is really the best book for me to read. Again, I’ll be reading this one sometime over the next few weeks, so keep a lookout for my review. 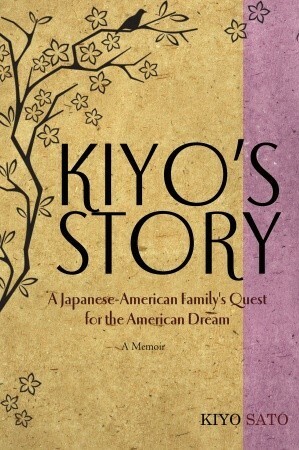 Kiyo’s father arrived in California determined to plant his roots in the land of opportunity after leaving Japan. He, his wife, and their nine American-born children labored in the fields together, building a successful farm. But at the outbreak of the World War II, Kiyo’s family was ordered to Poston Internment Camp. Throughout their trials, the family pulled together to survive. Kiyo managed to work her way through college; her brothers served in the army. After the war they returned to a ruined farm and a despoiled house. They began again. Have you ever picked up a book as a souvenir? Thanks to the Showtime series The Tudors, I’ve become quite fascinated with Tudors history – particularly, the wives of Henry VIII. Knowing that television shows take some great liberties in order to keep a story entertaining, I’m trying to read and learn as much of the actual history as possible. Given this current fascination of mine, I wanted to share some of Thomas Wyatt’s poetry about Anne. 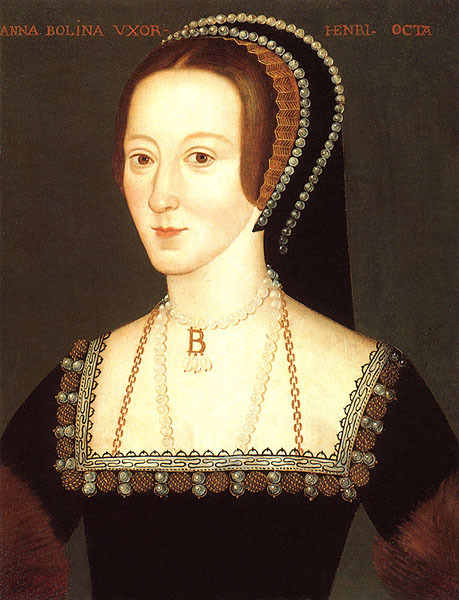 I found these poems on a very interesting site – The Anne Boleyn Files (http://www.theanneboleynfiles.com/) – definitely worth checking out!